The Spirit of MY FIRST Marathon. 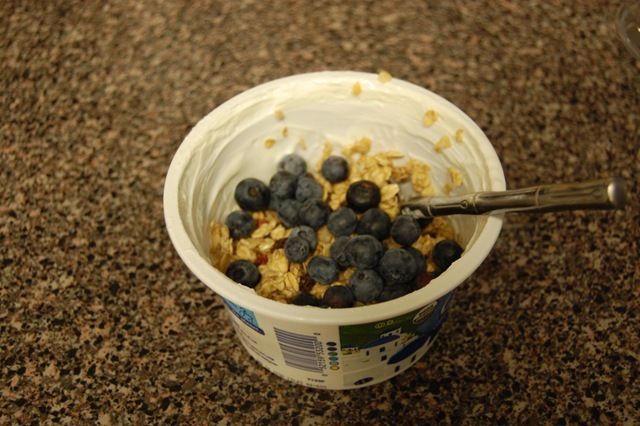 I made a lovely yogurt mess this morning for breakfast. 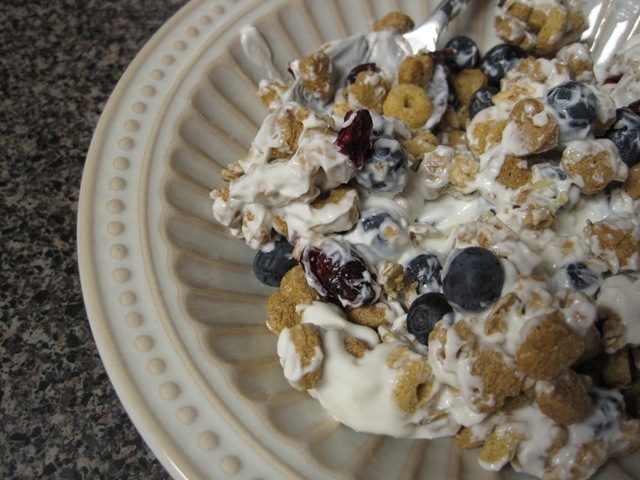 This combination of Kashi heart to heart, granola, and vanilla Oikos never gets old. I’m officially in Back-to-school mode, so I will be gone all day. 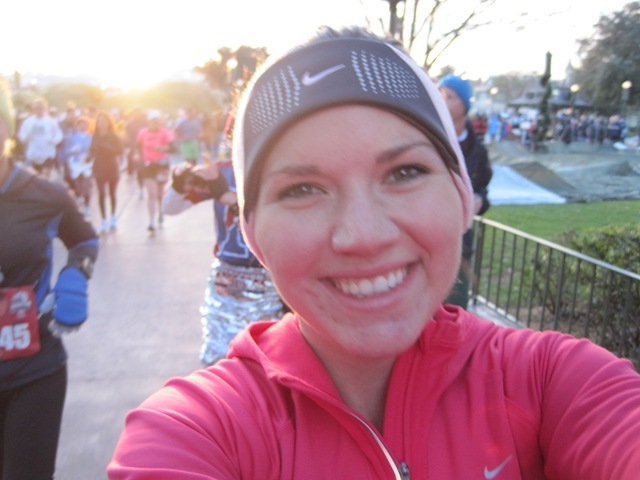 I thought I would leave you with a video recap of my first marathon experience. 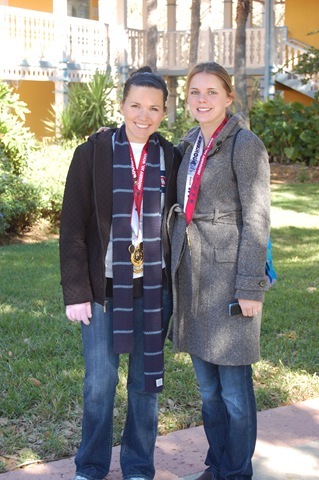 Yesterday, I ran the Walt Disney World marathon with my best friend. 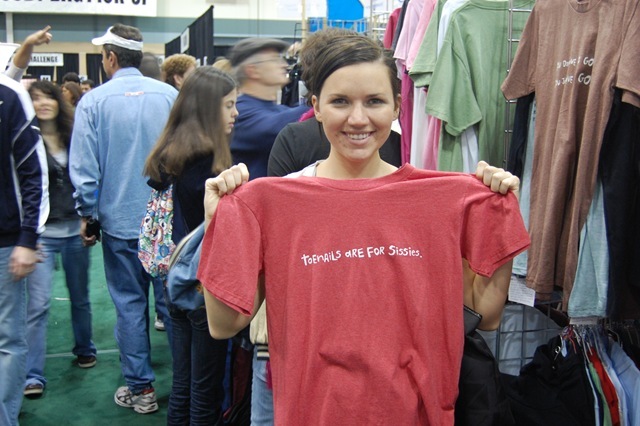 It was my very first marathon, and one of the most memorable experiences of my entire life! Back up to Saturday night… We headed over to Caitlin’s for our pre-race dinner. 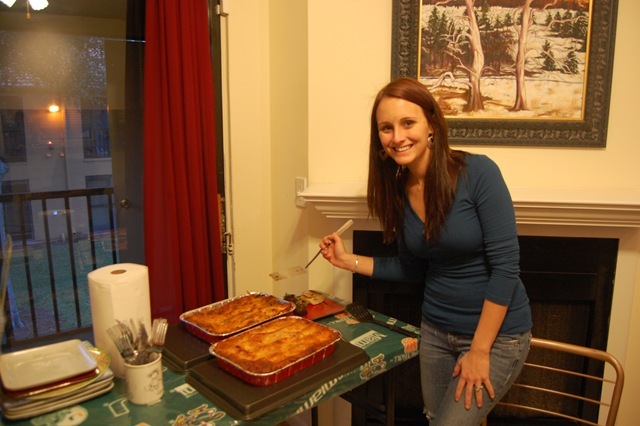 She made veggie lasagna and other people brought some dishes for sharing. 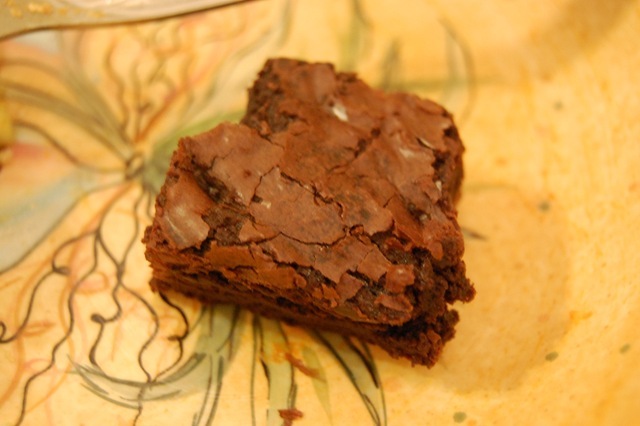 I had one of the brownies that I brought for dessert. 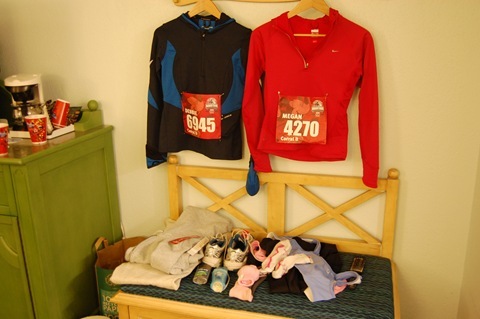 Once we got to the hotel, Debbie and I laid our things out, so that we wouldn’t have to worry to much in the morning. We actually got hungry again, so we ordered a pizza! 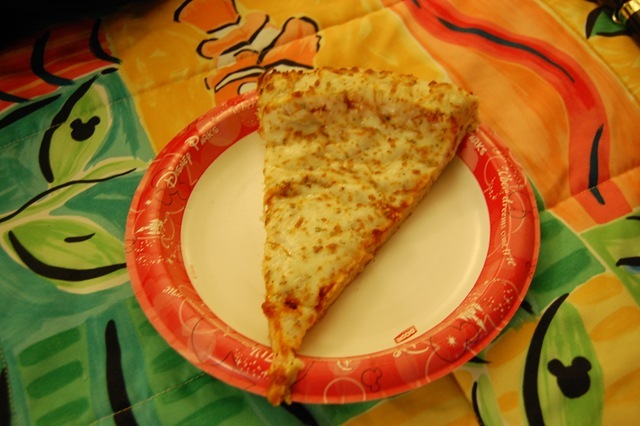 I had one slice and then crashed. My alarm was set for 2:30 am, since we had to be on board the bus by 3:30 am. I woke up at 1:45 thinking I slept through the alarm, and couldn’t get back to sleep. I was SO excited about the race! 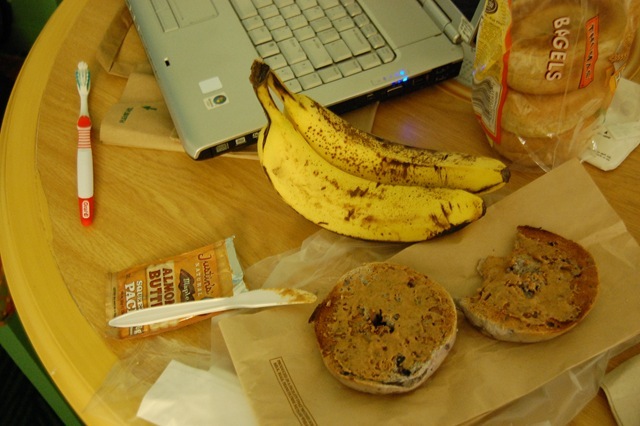 I packed Bagels and Almond butter from home, along with bananas to eat right before the start of the race. 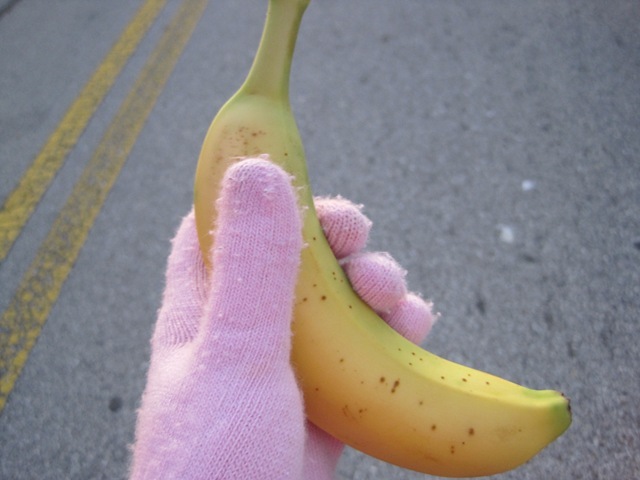 Once we bundled up (it was 26 degrees) we headed to the bus stop. 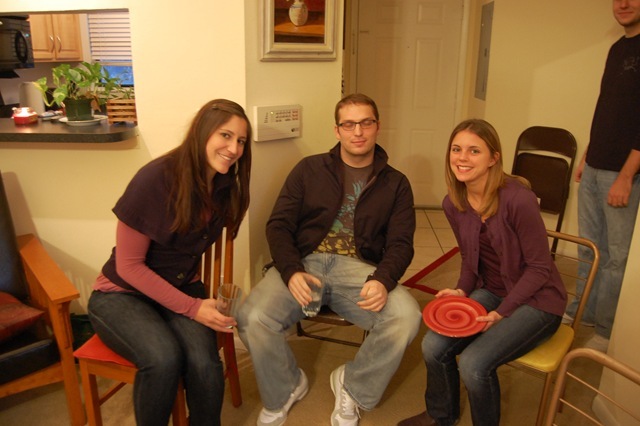 Debbie and I were worried that we wouldn’t be able to find Kelly, but somehow we found her. We had plans to stick together for most (or the whole) race. After 18 weeks of training, and running 440 miles, I finally made it to the starting line of my first marathon. The race started just outside of EPCOT. 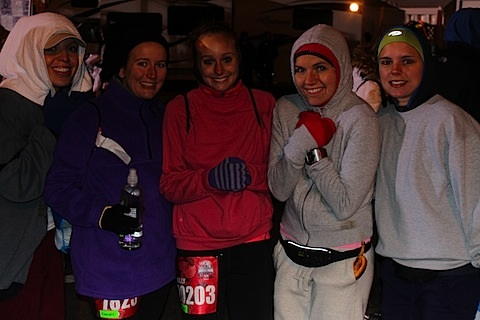 We were only REALLY cold for the first two miles, so we quickly shed our top layer of clothing. 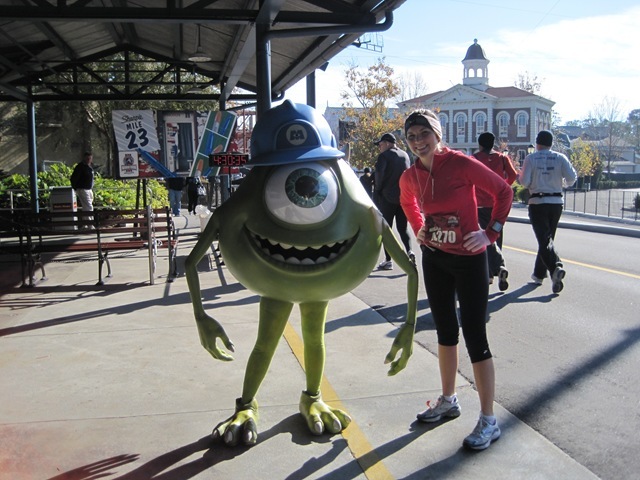 We ran through each Disney park, and spent a lot of time on the stinky back roads. The first seven miles FLEW by! We were all so excited and generally really happy and things were going great! We had no trouble maintaining our goal of 10:00 min/mile pace. 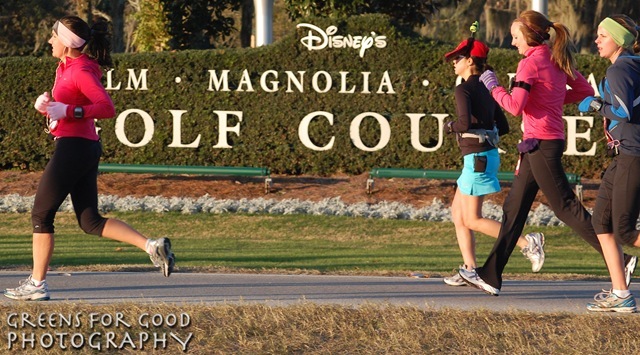 My favorite part of the course was running through the Magic Kingdom. It was great to see all of the fans along the course cheering us on, and getting to run straight through the castle. I also felt my best at this point in the race, which I think has a lot to do with it. 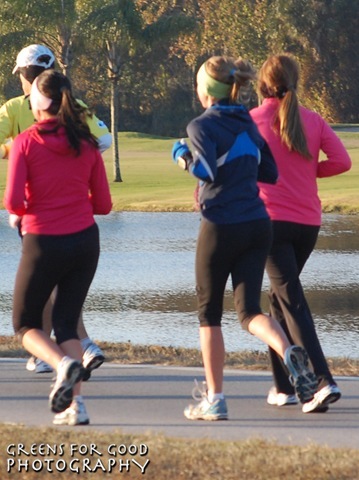 It actually worked out great having Kelly and Debbie to run with. We all pushed each other for the first half of the race. At the halfway point, we were predicted to have a 4:22 finishing time based on our current average pace. Little did I know things were about to go downhill. My stomach started hurting a bit at this point, and I was getting a bit worried. Then, Kelly tripped on a road reflector, and took a little tumble. It shook us all up a bit, but she was tough and popped right back up and kept going! Around mile 15, I knew that I had to use the bathroom ASAP or I would not be finishing the race. I started to speed up in hopes that I would be able to get in and out without making too much of a dent on my (or Kelly and Debbie’s) time. Not much later, we all started to feel the marathon taking a toll. We switched from talking to each other to zoning out with our head phones on. 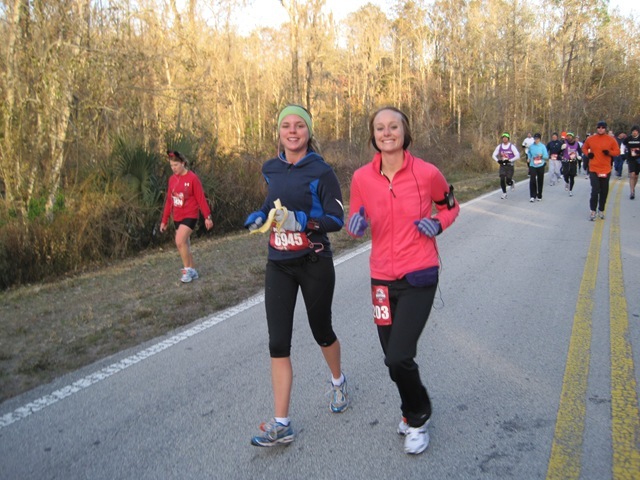 This was probably the last time that I felt good during the race, around mile 18. 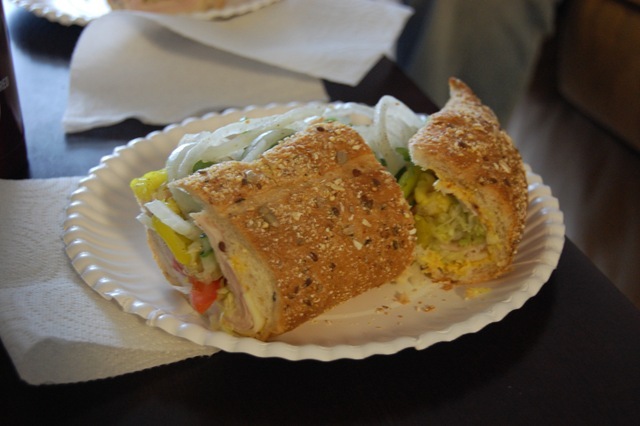 At this point, my stomach was in excruciating pain. I thought that I was going to explode and I knew that I had to stop again. I felt really bad for asking Debbie and Kelly to stop and wait, so I told them to go on ahead without me. They were feeling good and I knew that I was only going to feel worse. 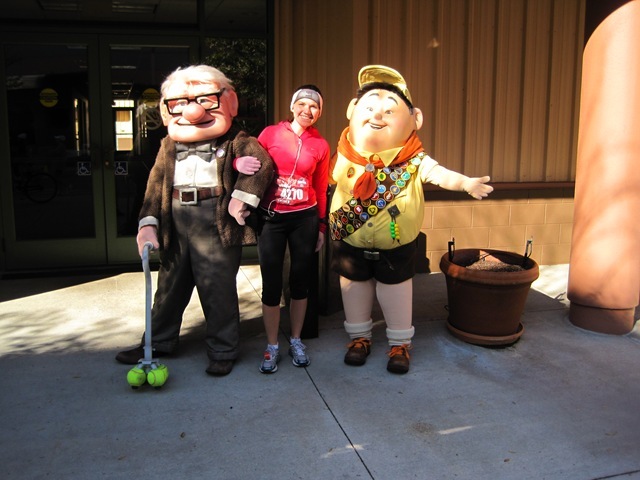 Shortly after they left me, around mile 21, I started crying. I thought that finishing seemed impossible. I had already stopped four times to use the bathroom and I was not feeling any better. I passed a few medical tents and SERIOUSLY considered stopping. Every time I tried to run, my stomach would hurt worse. I would take a quick walk break, but when I tried to run again, my joints just locked up. 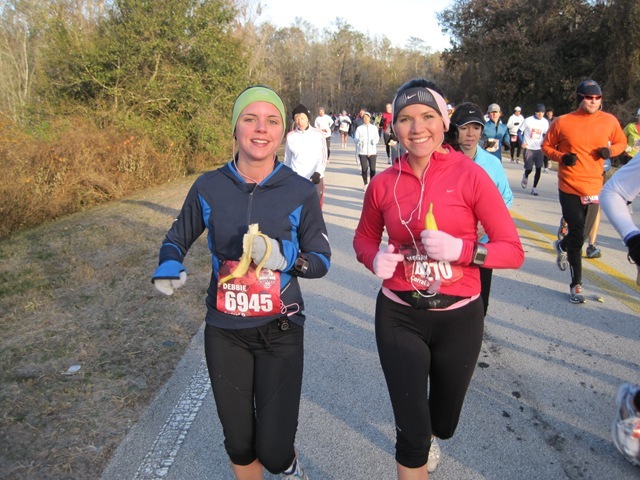 It was mentally and physically challenging because I knew that I was trained well enough to finish, but that my body just couldn’t take it that day. I made a video around mile 22, where I was basically just pouring my heart out and crying about how I had to finish this for myself. As soon as I thought this was the worst I have ever felt in my life, I realized that I had to make a choice to stay positive. I trained hard and did NOT want to give up! I realized that I could make this race fun, even if I was alone. I could think about nothing else but finishing the race. When I came around the corner and saw a huge crowd of people cheering and the finish line, I burst into tears. 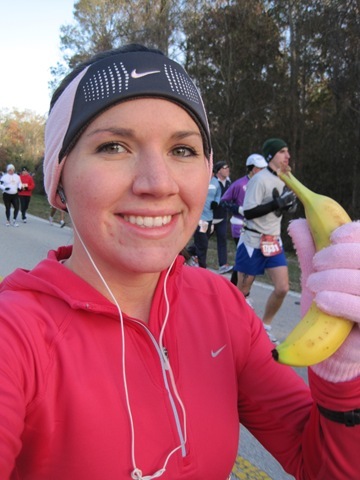 I ran strong through the finish line (ok… really slowly) and felt a huge wave of joy come over me. Never in my life, have I felt so many things at one time. It was mentally and physically the most challenging thing I have ever done in my life. My parents met me at the finish line, and I pretty much collapsed on the pavement. I knew I would be in pain, but I never expected my body to hurt THIS much. 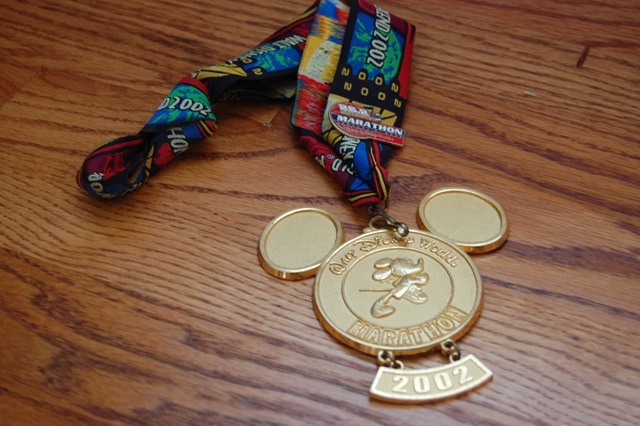 I feel like I really fought for this medal. Total paused time: 14 + change minutes. I didn’t do nearly as well as I wanted to, but there was no way that I could have planned for, or trained for my stomach issues. All things considered, I am very proud to have just finished. I considered quitting so many times, but never gave up. 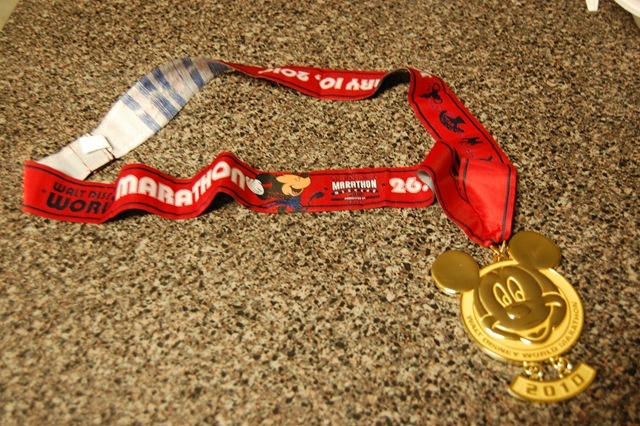 Congratulations to all my friends and blog friends who ran this weekend! Big thanks to everyone who came out to support me at the race, my family, and to Ryan for the amazing photos! PS- Marathon recap video is coming soon!! I finished my very first marathon this morning. It was the most challenging and painful thing I have ever done in my life. I got super sick in the middle of the race, pushed through the pain and tears, and finished in 5:08:09. Much, much, much slower than anticipated, but I made it out alive! I am extremely proud, and glad to have finished the marathon in one piece! Full recap (with videos!) to come later! 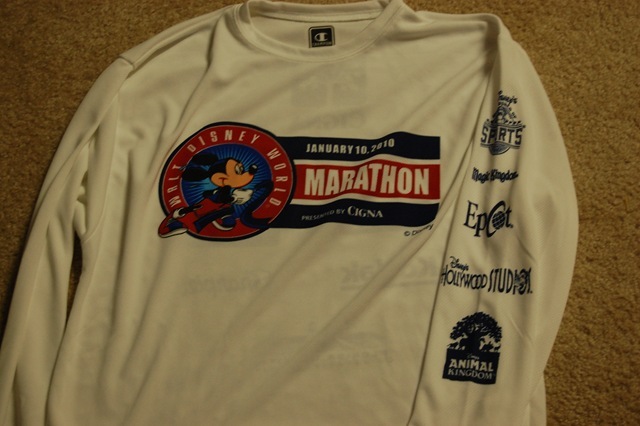 It’s hours away from the Disney marathon and I am a bundle of nerves! I woke up SUPER early this morning and couldn’t get back to sleep. My mind was racing (no pun intended) so I decided to get up and do something productive. I managed to clean out my entire closet and beneath the sink in the bathroom before Debbie and Mike woke up. 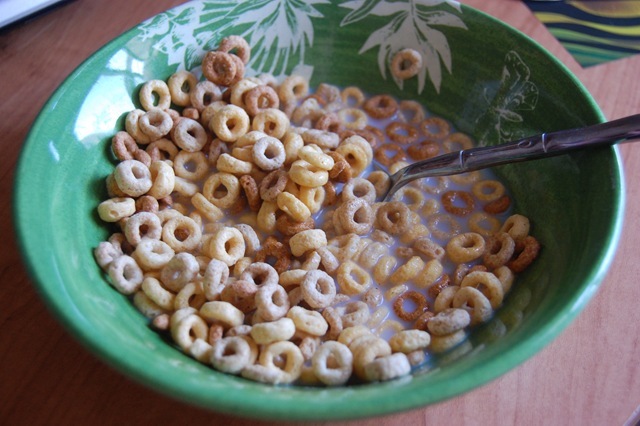 I snacked on a bowl of Multigrain cheerios before breakfast around 5:30 or 6am. 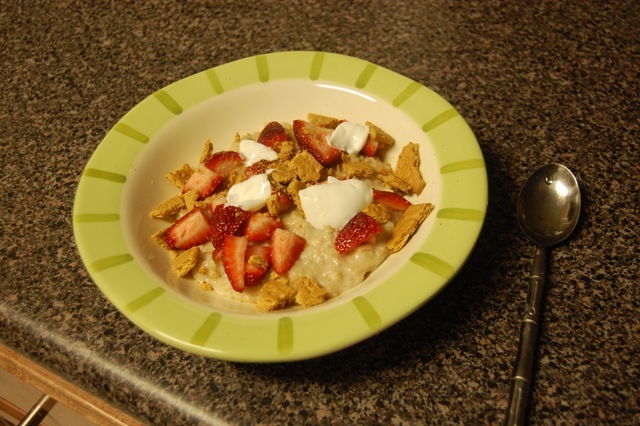 Once we were all up and ready, we made a real breakfast. 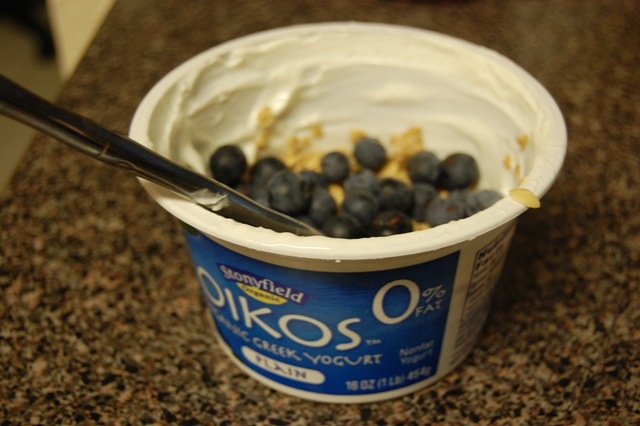 I ate the last of the Oikos out of the tub, with fruit and nut granola, and blueberries. After breakfast, we headed to pick up our race packets and t-shirts. 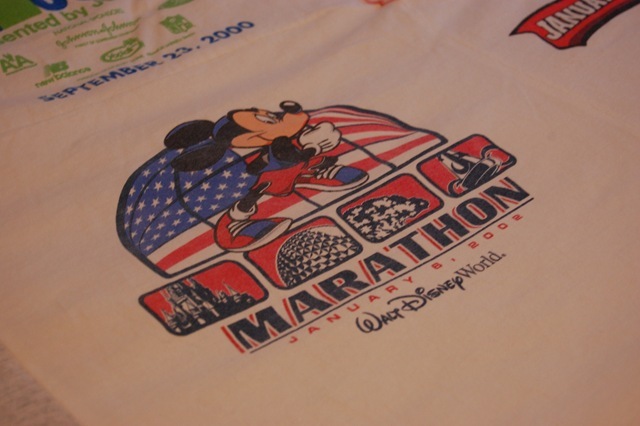 Seeing my shirt say “Marathon” made my heart skip a beat. I seriously CAN NOT believe that I am finally going to run this marathon! They base the corral on half marathon time, which makes no sense why she got placed in D, when all of our other friends (Caitlin, Kelly, and Meghann) are in C. I also have no idea why I am in B. Sub 4-hour marathon? Why does everyone keep telling me that!! I plan to stick with Debbie in corral D. I’m going to run this race for fun. Sorry, rant over. 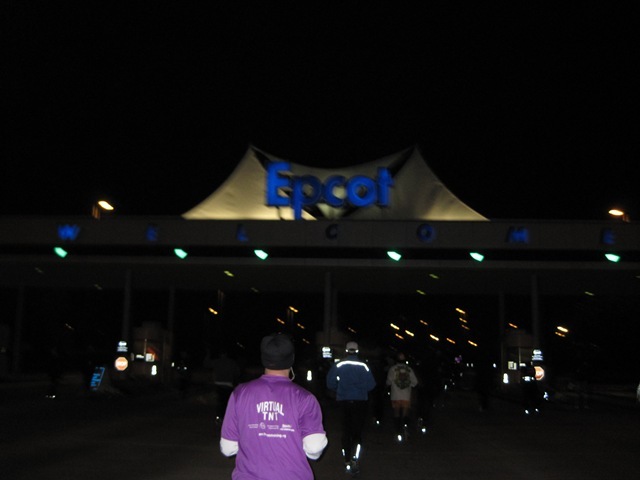 After packet pick-up, we headed to the marathon expo at Disney’s Wide World of Sports. 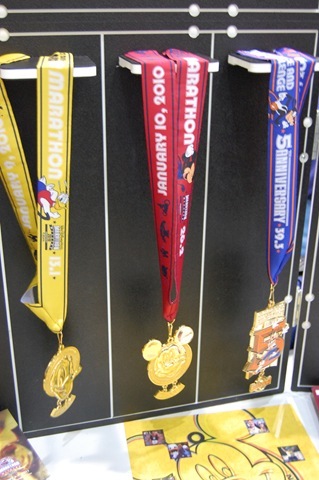 I caught a glimpse our marathon medals! I found the perfect shirt! 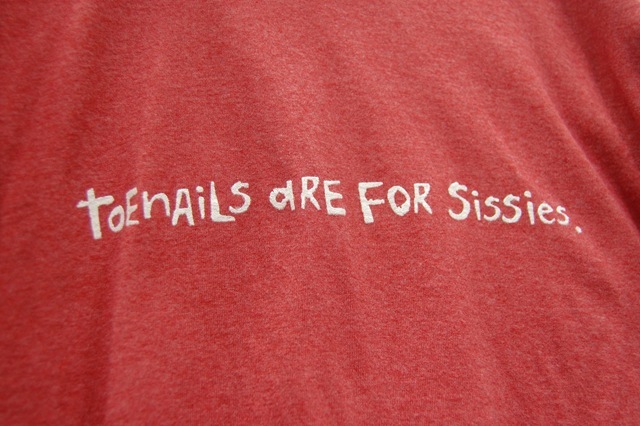 Toenails are for sissies. Hehe… perfect considering my toe surgery in the middle of marathon training! 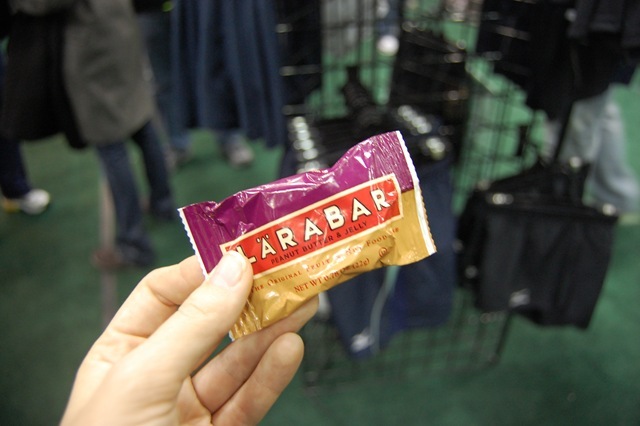 While at the expo, I munched on a PB+J Larabar. 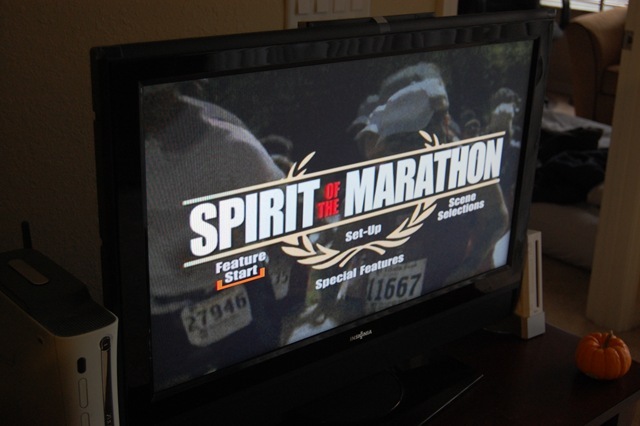 Once we got home, we turned on Spirit of the Marathon. We have it live streaming through Netflix on the Xbox 360 Live (I think). It’s an inspiring movie, and putting us in a very marathon mood. 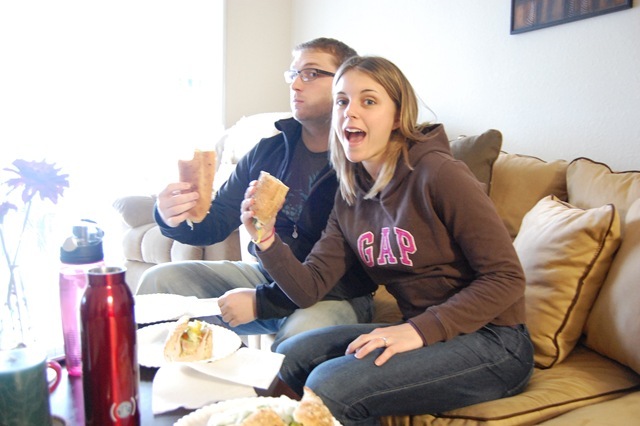 While we watched, we ate Publix subs. 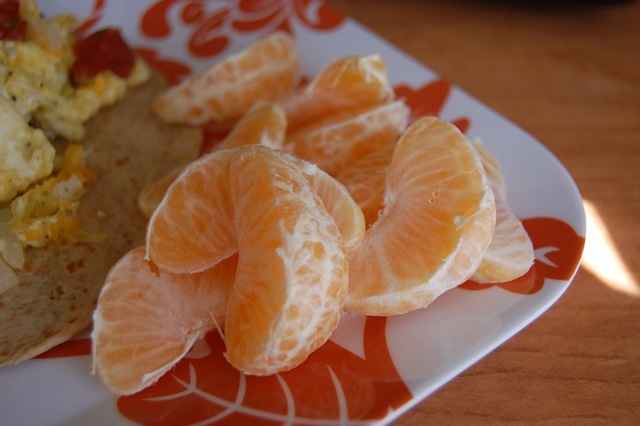 Normally, these guys can fill me up for at least 5 or 6 hours, but I am going to have to eat dinner again in 3.5 hours. Gah! Hurry up digesting!!! Debbie and Mike make me laugh. They are too funny! 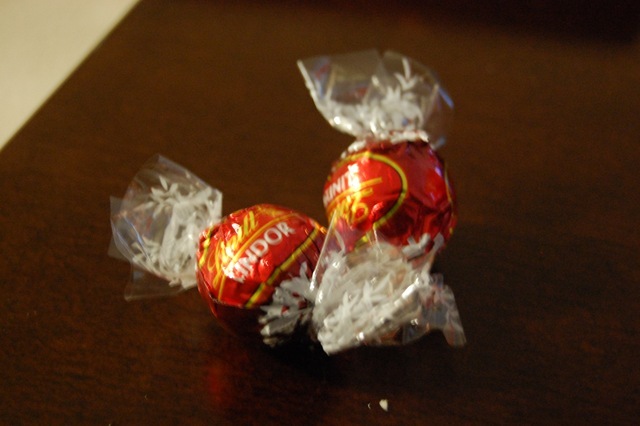 Oh yeah, we had some chocolate for dessert. 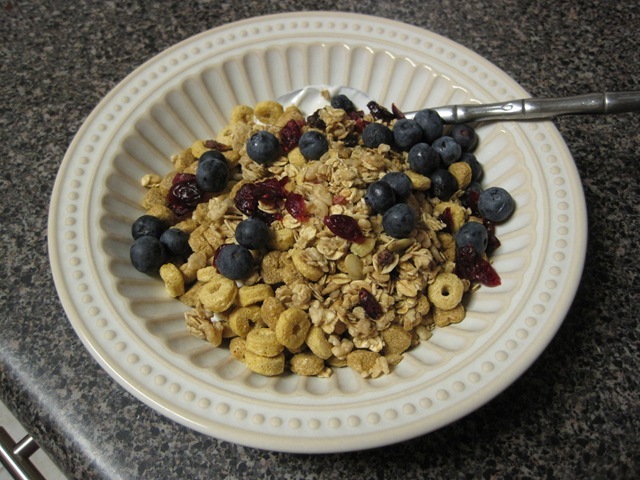 Carbo loading, of course! 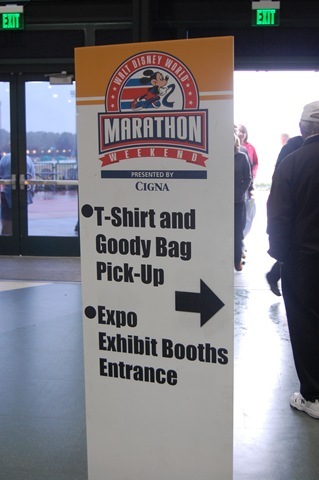 In exactly 12 hours, we will be boarding the shuttle from our hotel to the marathon starting line. AAAAAAAAH! This morning, I got in my very last run before the marathon. I ran an easy 3.0 miles, without too much concern for pace. 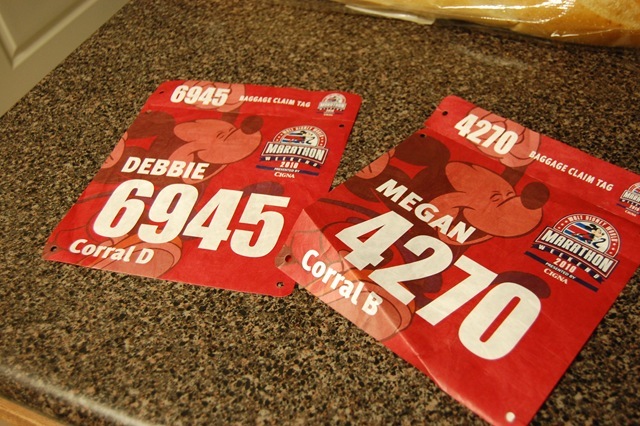 I can NOT believe that in less than 48 hours I will be waiting at the starting corral. I can’t wait to see all this hard work pay off! 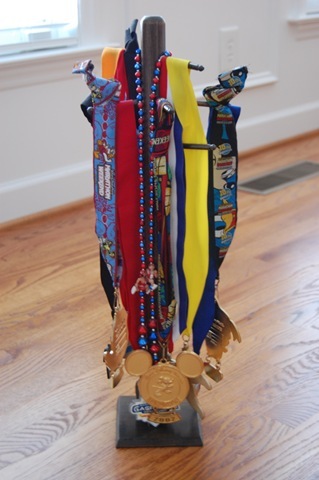 A couple of weeks ago, while in North Carolina, I took some time to check out my mom’s marathon medal collection. 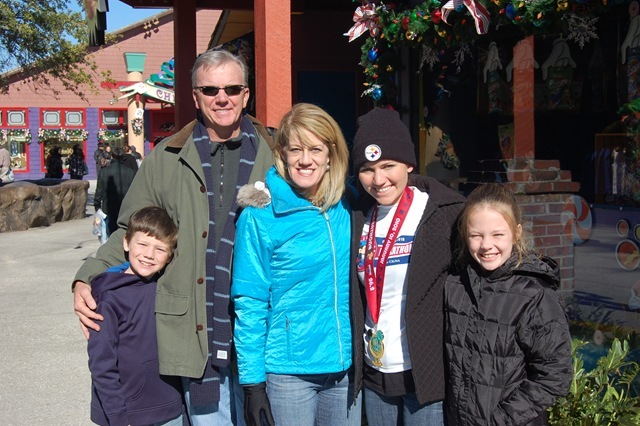 My mom has actually done 5 marathons! She isn’t doing them anymore, but I think doing even one is pretty cool! 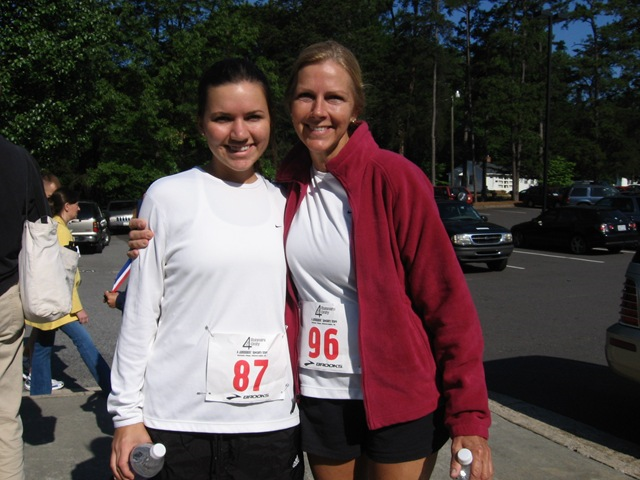 She ran my first ever 5k with me back in May 2007! I honestly think it could have been my mom that inspired me to race! 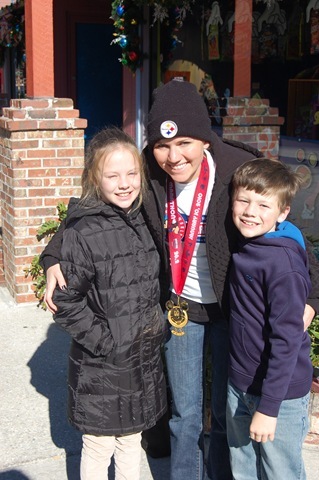 She has done COUNTLESS races of all different distances in her lifetime. 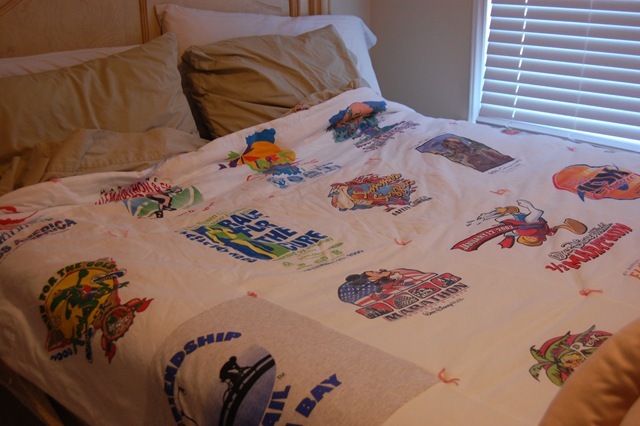 She got to a point where she had SO many t-shirts, that she made them into a quilt! What can I say? My love of racing runs in the family! I feel like I still have so much to get done before the race! I start school Monday, and I haven’t even thought about prepping for that since I’ve been so focused on the marathon. OOPS! Better get on it! I slept in. Ran some errands. Came back. 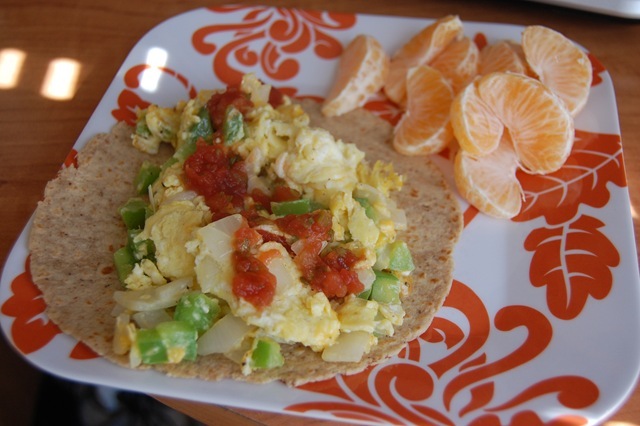 Made brunch. 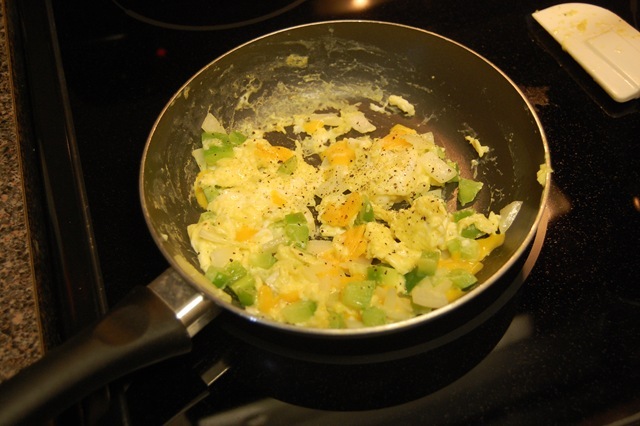 I scrambled two eggs, green pepper, onion, and salt and pepper. 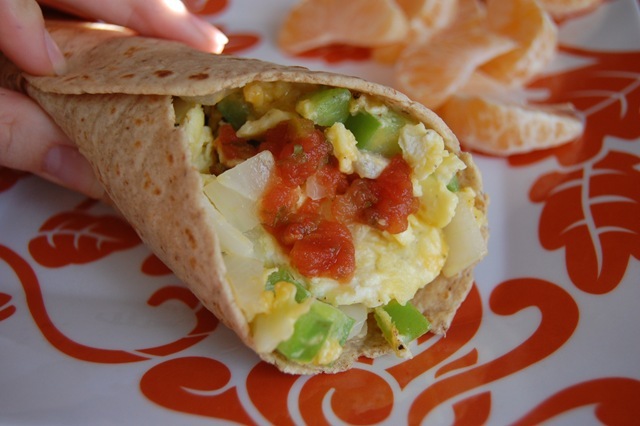 Put it all in a burrito, and topped with salsa. 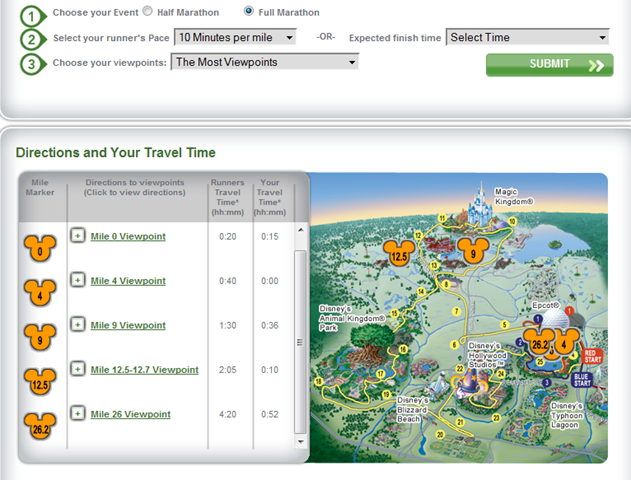 Disney has some great tools on their marathon website for tracking your runners! The first one lets you plan where you are going to stand to view your runners. It lets you know all of the best places to see us! 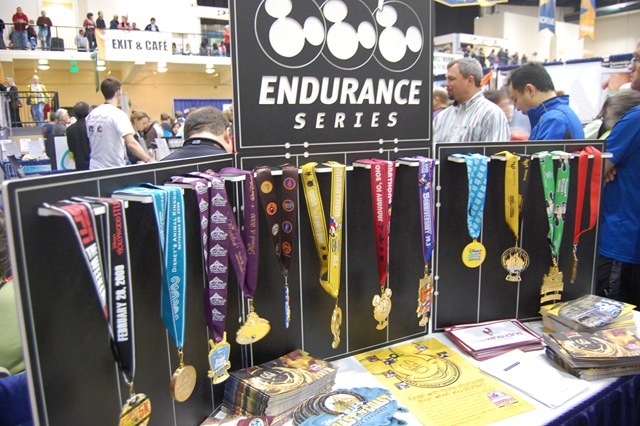 It lets you plug in anticipated finish time, and what time to be at location to see your favorite runner! It’s pretty darn cool if you ask me. For myself (because my parents wanted to know where to come see me), I plugged in an anticipated 10:00 min/mile pace and selected Most viewpoints. There are actually 8 options of places to stand (besides the start line) which include: 4,9,10,12.5,16.5,23,25, and 26.2 miles! There’s even an option to print it out, which will make it easy for the spectators. 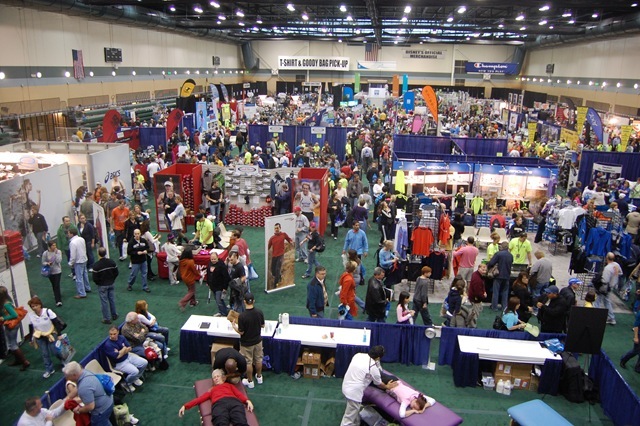 If you aren’t in town, and want to track your favorite runners/bloggers there is even a tool for that! I’m sending this one to my out of town relatives who want to cheer me on from home. 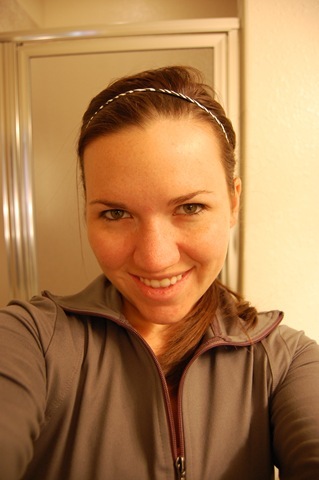 Track me (or another runner) here! I will provide more information once I know my race number. I’m sort of in a super excited state right now. 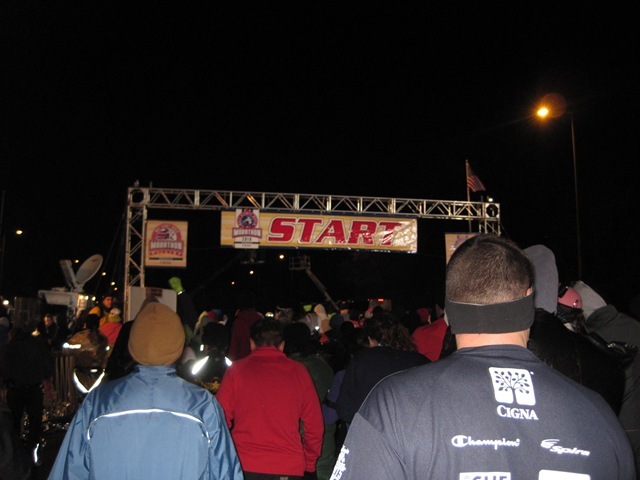 Like pre-race jitters… but way too early. 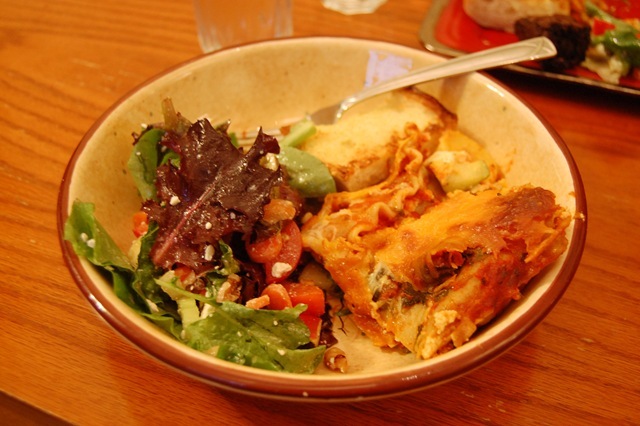 I figured out that negative stress causes me to lose my appetite. Being overly happy and excited makes me crave sugar. Interesting. 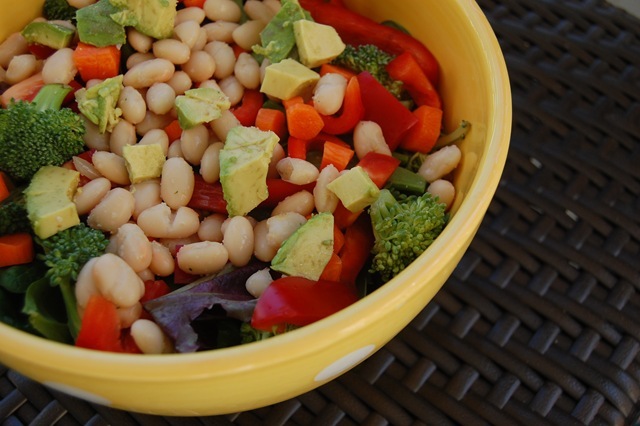 In attempt to balance the cookies, I made a huge, healthy salad for lunch. 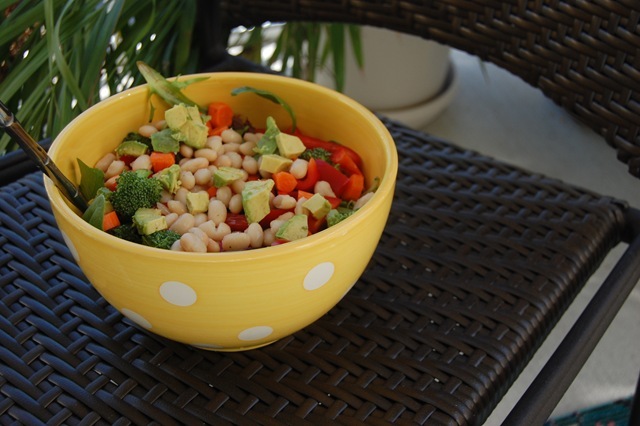 This bowl is bigger than my head. 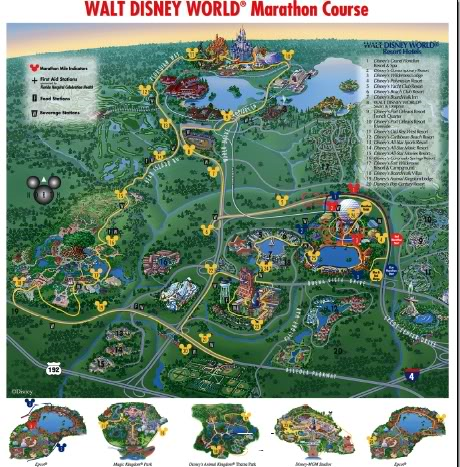 I feel like there are so many people running the Disney marathon that I’m not aware of. 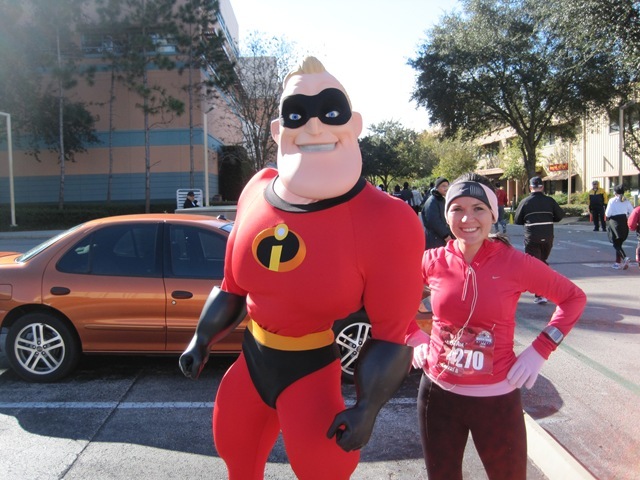 Are you running the Disney half or full marathon this weekend? Will YOU be there?